Yossi Bibas is a social media expert and the co-founder of Aura Groupe. He joined Ugo Colombo’s THE COLLECTION in their Jag Drive 305 partnership with World Red Eye so he (and others) could experience Miami behind the wheel of the new 2017 Jaguar XE. 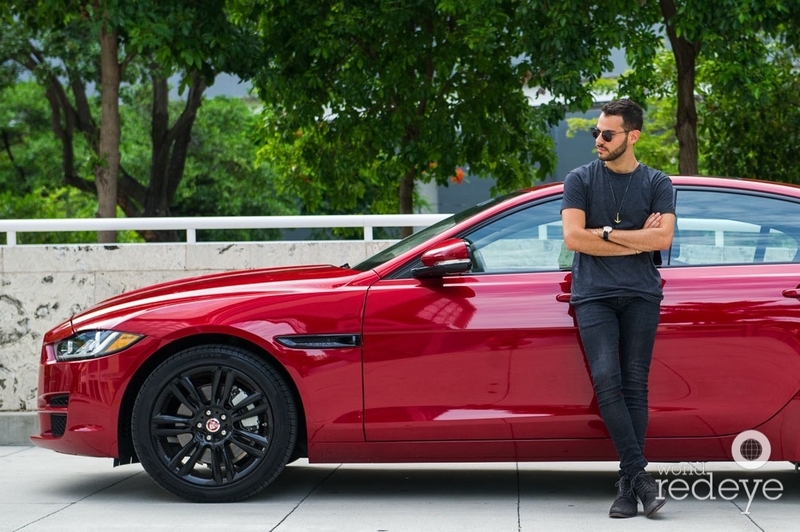 He drove the XE all around Miami – from Brickell to South Beach and Fort Lauderdale – and said the most memorable characteristic of the XE was its power. “The XE is super swift.” His favorite technological feature was the XE’s laser Heads Up Display. This display projects your speed – and other essential information – directly onto the windshield. “Anyone who’s ever doubted Jaguar or perceived it to be an older generation car, think again,” Bibas advises. This entry was posted in News and tagged 2017 Jaguar XE, Jag Drive 305, Jaguar XE, Yossi Bibas on August 4, 2016 by Ugo Colombo.